Because of the huge number of churches and places of worship Krakow was always called the second Rome. The number of saints and blessed, who are from Krakow or simply associated with the city is also astonishing. St. Stanislaus, Bishop and Martyr and one of the patrons of Krakow Cathedral opens that list. St. John Paul II, also the Bishop of Krakow, who lives in the royal city for many years, joined this unique group in 2014. The spiritual treasures, that You can discover in the city are worth even a very long journey. We have prepared a rich list of Krakow guided tours for pilgrims seeking spiritual solace, inspiration or just simply contact with God. Enjoy a pilgrimage to the three, most important sanctuaries in Krakow. We will began our tour, visiting the church, that was built in place of the martyrdom of St Stanislaus murdered in the 11th century from the order of the Polish King, Boleslaus the Cruel. Also a number of figures, who was very significant in Polish science, culture and politics find their final resting place in the Crypt of the Meritorious. 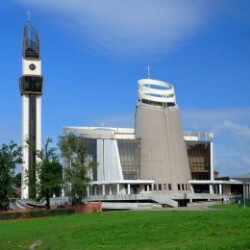 Then we will go to the Sanctuary of Divine Mercy in Lagiewniki. There are relics of St. Sister Faustina and the famous Image of the Merciful Christ. We will finish our Krakow sightseeing, visiting the Sanctuary of John Paul II, the first and most important place of his worship. As You can see, we invite You for the actual and spiritual journey to the places associated with three Saints: St. Stanislaus, St. 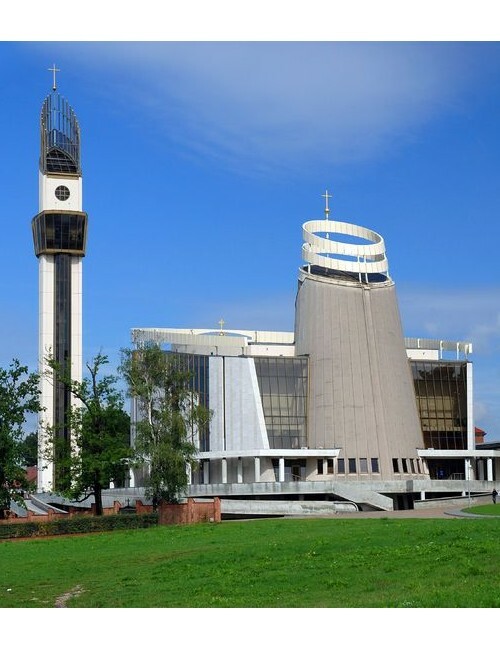 Sister Faustina and St. Pope John Paul II, the places, where their relics are deposed and where you can pray for their intercession, feel their supernatural presence, experience spiritual comfort. The order of visiting is negotiable. During the pilgrimage, we offer a break for lunch, so You do not have to worry about hunger or fatigue. 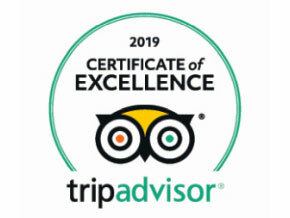 A place of special religious and historical significance for Krakow and the entire Polish. Medieval chronicles tell us, that there was a Romanesque Rotunda, in which Stanislaus, the Bishop of Krakow was murdered by the order of the King Boleslaus the Cruel. The Martyr was canonized in 1253. His hagiographical legend narrates, that his body was thrown into the pool by the eagles and miraculously healed, announcing the unification of the Kingdom divided into many separate districts. Nowadays, there is still a fountain called the Pond of St. Stanislaus. Jan Długosz (famous Polish medieval chronicler) was the initiator of bringing Pauline monks to Skałka. Długosz is burried in the Crypt of Meritorious arranged there in the 19th century. St. Sister Faustina Kowalska made her vows, worked and died in the convent of Sisters of Our Lady of Mercy in Łagiewniki (she stayed also in Warsaw, Vilnius and Płock during her monastic life). Because of her mystical revelations the cult of Divine Mercy spread all over the Christian world. Nowadays, You can see here a cell, in which she departed from this world. There are also her mortal remains in sanctuary and the famous Image of the Christ the Merciful. In addition to the historic monastery there is a huge, new basilica and Hall of the John Paul II. In 2000, Pope John Paul II canonized Sister Faustina, establishing the Feast of Divine Mercy. See the place, where it all began. It is also worth mentionig, that there is a Viewing Tower in the Sanctuary (over 70 metres high; Krakow looks amazing from the top). Sanctuary was created in the John Paul II Centre ‘Do not fear’ in June 2011 (after the beatification of Karol Wojtyła). There are his relics deposed in the lower part (so-called Church of the Relics) of the unusual temple built on an octagonal plan following the byzantine architecture of Ravenna. Probably the most valuable is the vial of blood sent to Krakow straight from Gemelli Polyclinic in Rome. In the upper part of the Sanctuary You can see the cassock, that John Paul II was wearing, when Ali Agca attempted to assassinate him in May 1981. We will also see the Chapel of Leviticus looking like the Wawel Crypt of St. Leonard, where Karol Wojtyła celebrated his first Mass. There is also a tombstone from the Pope’s grave in the Chapel. All of these unusual memorabilia allow You to feel a spiritual connection with the Saint. Visiting the sanctuary is an extraordinary experience.